Dr. Laurie Lenz is board certified in both dermatology and internal medicine and has been practicing dermatology since 2013. She completed her undergraduate education at The College of William and Mary in Williamsburg, Virginia, graduating with a BS in biology. Dr. Lenz then worked for several years in both New Mexico and California as a cytogenetic technologist, helping to diagnose genetic abnormalities in newborns and cancer patients. 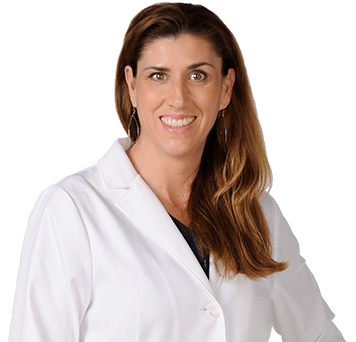 Driven by a strong desire to be directly involved in patient care, Dr. Lenz earned her medical degree at Nova Southeastern University College of Osteopathic Medicine in Ft. Lauderdale, Florida. She completed residencies in internal medicine and dermatology through the Palm Beach Center for Graduate Medical Education in West Palm Beach, Florida in 2013, serving as chief resident for both. When she is not working, Dr. Lenz spends her free time with her husband, two daughters, and two dogs.